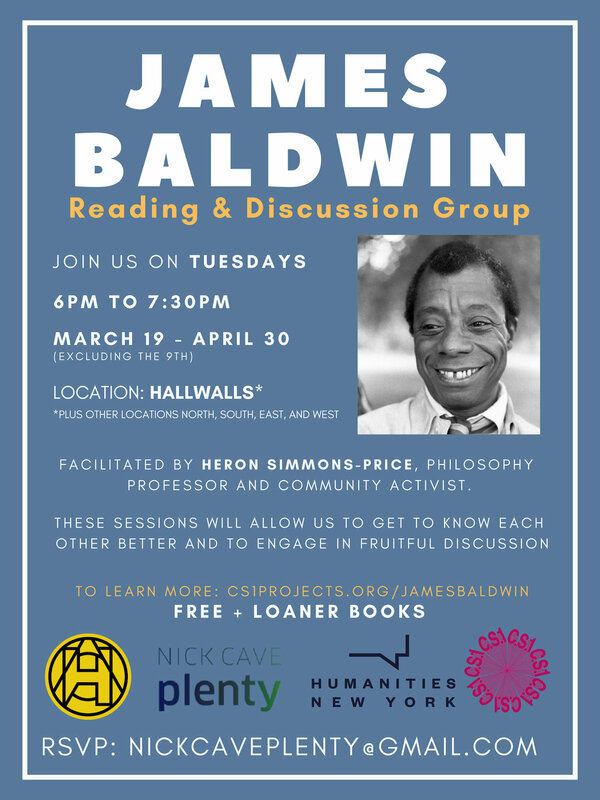 This program is a 6-part series on James Baldwin’s Collected Essays as part of Humanities New York "Reading and Discussion Program." 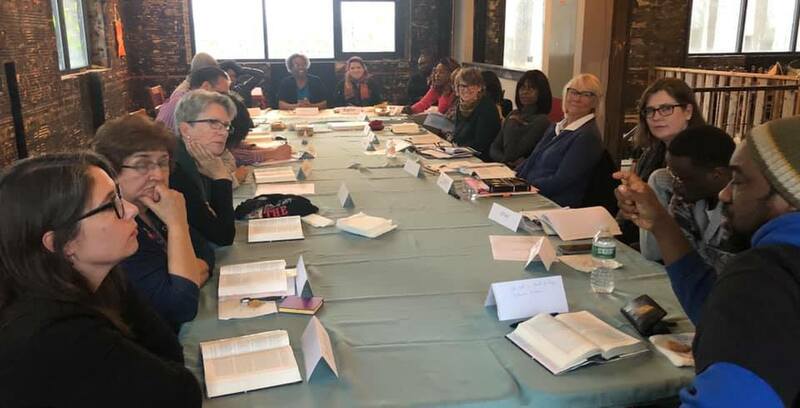 The purpose of the program is to bring different communities together to discuss texts in a conversation facilitated by trained, local scholar. Our conversations will be facilitated by Heron Simmons-Price, philosophy professor and community activist. More discussion than lecture, these sessions will allow us to get to know each other better and to engage in fruitful discussion. This Reading & Discussion Program grew out planning around Nick Cave PLENTY: A Citywide Celebration of Buffalo, the vision of the Chicago based artist best known for his Soundsuits “to introduce Buffalo to Buffalo” via collaborative art making. Free with loaner books. Registration is required. Space is limited to about 15 - 20 participants. Please ask questions and register by emailing your name, phone number, and email to nickcaveplenty@gmail.com.